Best Free CRM App to help you achieve your sales and marketing goals on the go! Experience the difference using a Mobile CRM app. 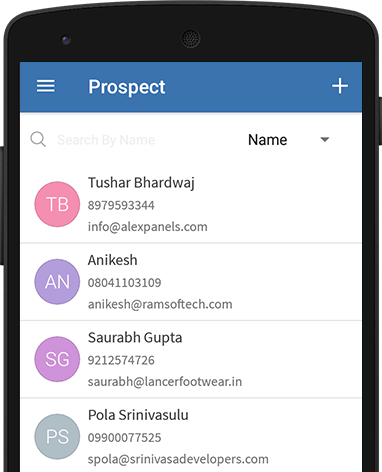 CRM mobile app is built specifically for the team who operates from a remote location or travels frequently. 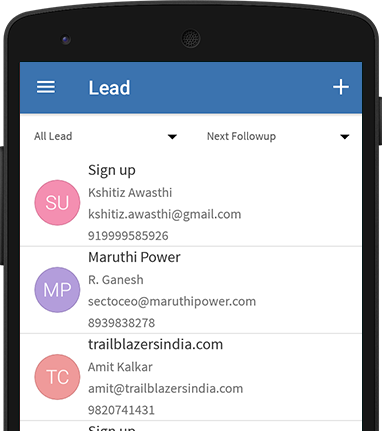 The best CRM app for field force assists them access all important CRM data anywhere, anytime from their mobile phones. They can capture every vital detail of suspects, take quick follow-ups of leads and access customer information on the go. Get everything on your finger-tips! 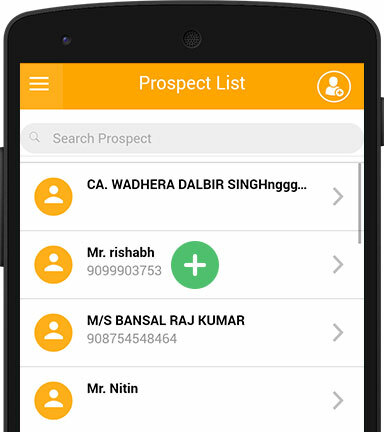 Capture all primary details of suspect including type of business, associate contact details and product/service category on the go. 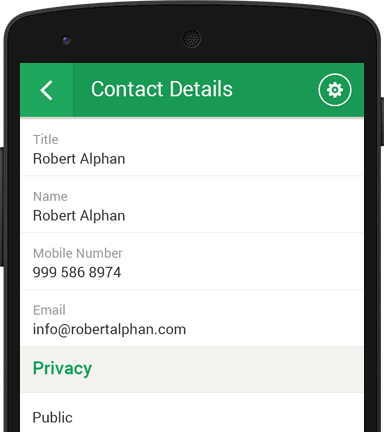 What’s more, our CRM mobile application allows you to quickly add follow up, make calls and emails, and maintain its log and outcome status on the fly. Add leads into your database in real time with custom fields namely lead inquiry source, status, category and outcome. Take swift follow ups and maintain its log on the go. 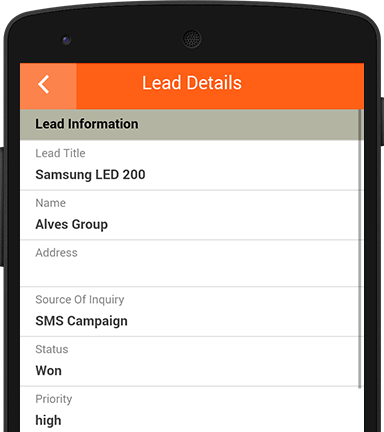 Moreover, the CRM app for lead management allows lead tracking by name, title and status with search option. Get reminder feature to manage your appointments. 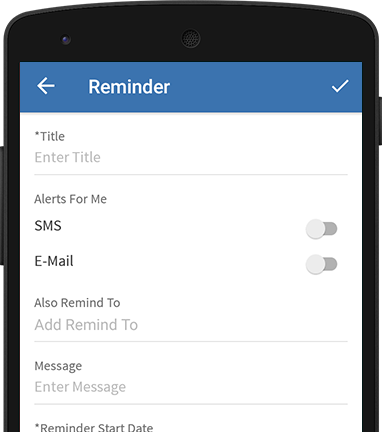 You can set specific time, date and reminder note while creating reminder and the app will notify you via SMS and email at your preferred time. Set various types of reminders with suitable occurrence preferences and keep up with your sales and marketing activities. 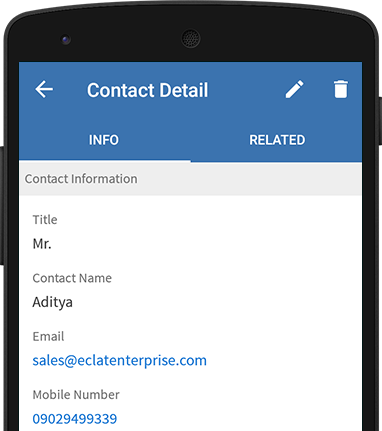 The CRM app for contact management makes it amazingly easy to manage your customer data in real time. Get amazing features like adding notes, taking follow ups, instant call and email to build lasting relations with clients effortlessly. What’s more; the search functionality helps user take prompt actions.